I help people suffering with pain and emotional stress to release pain and tension, sleep better, restore healthy hormonal balance and increase energy levels. All of my treatments are gentle, relaxing and non-invasive. What is Biophoton Light Therapy? 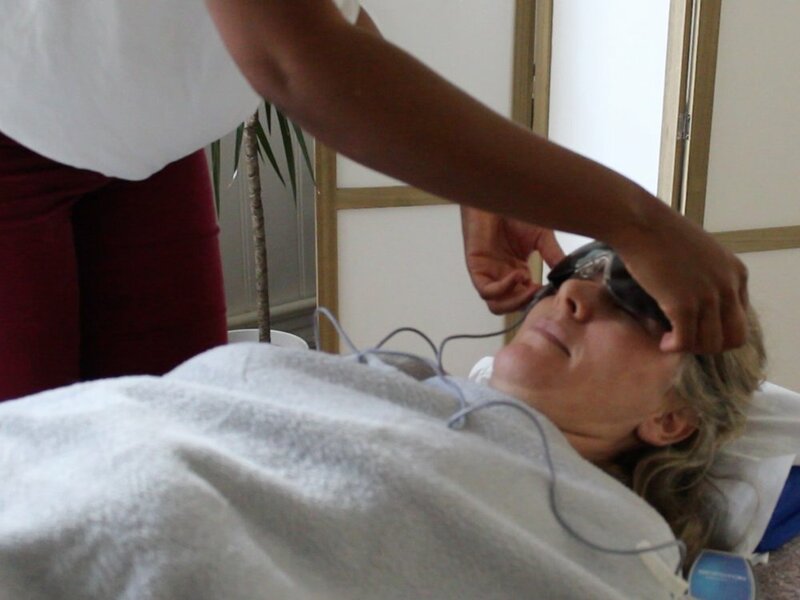 The therapy entails releasing stress from the body through gentle light frequencies using the Biofoton device. Animals and people of all ages can greatly benefit from this unique non-invasive therapy. It restores balance and harmony to the body, and allows stress to effortlessly release, activating its own mechanisms of self-regulation and healing. It removes energy blocks and lets the energy move more evenly and easily. Biophoton Light Therapy has shown positive results in all levels of the mind, emotions, physical health and chakras. I was previously a police officer, and after suffering post traumatic stress disorder (PTSD) from an incident on patrol, the recommended anti-depressant medication route did not work. Complementary therapies fully restored my health and wellbeing, and when I returned to full operational duties I decided to study and qualify in the most effective treatments. I was nominated as a Wellbeing Ambassador at work, supporting colleagues in overcoming work/home life challenges. I was determined to help people who have suffered a setback to not give up hope. I'm trained to help people to recover in the fastest and most effective ways available and have been providing treatments since retiring from the police service in 2017, having served 15 years in the Metropolitan Police Service. I’m professionally trained in the following - Biophoton Light Therapy, Ascension Meditation, Advanced Flower Essence Practitioner, Angel Tarot Card, Aromatherapy Massage. In addition to this I have completed courses with Landmark Education and Dr John Demartini. Co-author of the book Inspiration Bible, I’m also featured in Life Sync: A Twenty-Something's Guide to Matching Who You Are With How You Live by Vanessa Bork. No matter what has happened to you, you don't have to suffer any more. Happiness, peace and vitality can be experienced again. Please get in touch for your free initial assessment.